Carfax Certified! Very Rare low mileage Diesel! AWD. EVERY Option (Navigation/Back Up Camera)! 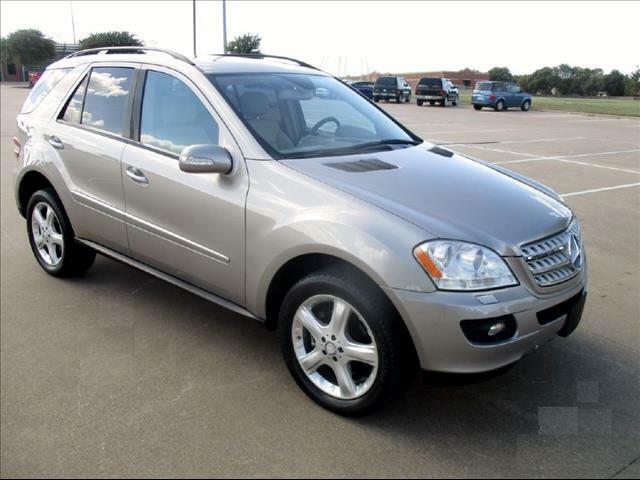 2008 Mercedes ML320 * 4matic (AWD) * 69K Miles * NO ACCIDENTS * Clean TEXAS TITLE * 3.0 Liter 6 cylinder DIESEL engine * Automatic Transmission * Leather * Moon Roof * Power Seats * Heated Seats * Factory Navigation * Rear Back Up Camera * Power Rear Lift Gate * Power Windows * Power Locks * Cruise Control * Power Mirrors * Power Telescoping Steering Wheel with Radio Controls * Factory AM/FM/CD Changer with Bluetooth Radio * Tow Package * Factory Alloy Wheels Very Rare ML320 diesel with 69K Miles!!! All I can say is WOW!!! What an awesome LUXURY SUV!!! EVERY possible option is on this low mileage ML. I can not even begin to list all the options on the vehicle! It is in spectacular condition. It NEEDS NOTHING. This SUV comes with a clean title and IS NOT SALVAGED!!! This ML 320 was just professionally mechanically serviced. Before listing it for sale we had a 125+ point CERTIFIED PRE-OWNED inspection completed on this van and it needs nothing. Drives and looks like new! The 125+ point inspection and vehicle history report are available for your review, when you test drive thet SUV! The Pewter Metallic exterior is absolutely FLAWLESS, there are no dents, scrapes or scratches on the paint. NOT EVEN A DOOR DING!!! This SUV has been GARAGE KEPT! The Beige LEATHER interior is also in excellent condition. There are no stains, wear marks or burn holes on the leather or carpeting. NEVER SMOKED IN!!! SUV looks and drives like new! Guaranteed no disappointments!